Where is My Adress Bar? Well, here we go again. The media grabs a story and runs with it. The July 9 scare. All we have to fear is fear it’s self, once again. The story in July 5ths Daily News, “If you lose Internet Access July 9, fix is easy” has many people calling and asking what to do. Most of the time a scare like this is not a virus at all and you will not fall victim to the threat. I consider the scare a type of warfare the virus creators are in control once again. Even if you are not infected by the virus, you are affected by the threat. They have still win. 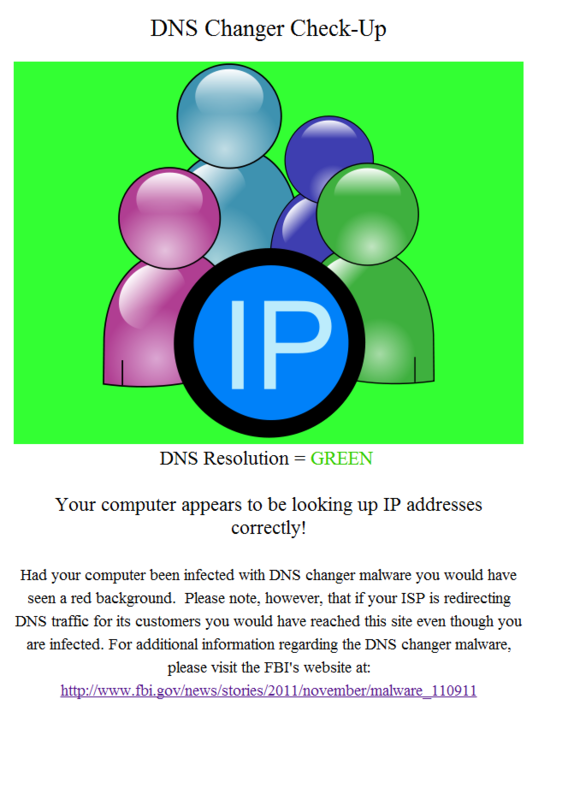 First visit the FBI website www.dns-ok.us and if your computer is clean it will show green otherwise it will have a red back ground. Follow the link below the red image and fix your computer or call your preferred tech. Click on FBI to learn more.